As I mentioned before, I participated in my very first webinar last night. It was hosted by the STEM Institute, and I really enjoyed the experience. 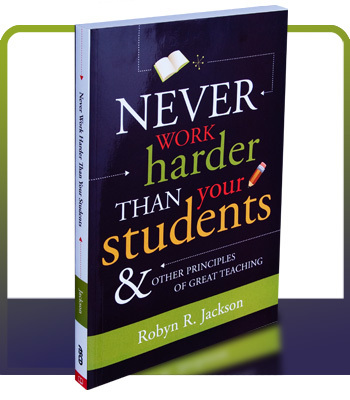 The neat thing about this webinar was that it took the 7 principles from the book, and applied them to technology. I want to give you a brief outline of what I learned last night, and some of the sites we were given. I haven't explored a lot of the sites yet ... but as I try them out, I'll share my experiences with you. As teachers, we are preparing our students for jobs that don't even exist yet ... we need to prepare them the best we can. We want students to reach their goals, but they don't all need to be A+ students - many truly successful people were far from it in school. www.transl8it.com - (English to text lingo conversion - I blogged about this last night - see my post below). Google Translate - Language translation - spells it (correctly and phonetically), and says it. Skype - great for author conferences, social studies (talk to people in other countries), keep a student connected who has been absent, or is away on a trip. https://posterous.com/ - easy way to create your own blog through your email - great for setting up a class blog to keep students / parents informed. Feedback needs to be descriptive and given in a timely fashion. If feedback is to be beneficial to the students, it needs to be given to them quickly and consistently. edmodo.com - It's almost like a kind of facebook - but you can set it up for your classroom - post questions, reading clubs, etc. and give feedback to students as they answer questions. https://docs.google.com - Students can use this for their writing assignments, and not worry about bringing files back and forth to school. Teachers have access to the page to make corrections / give feedback throughout the writing process. edu.glogster.com - I've set up an account with glogster so we can make multi-media posters next year. I can so see myself using this with science / social studies. www.animoto.com/education - A site for making movies and slideshows. photopeach.com/education - Another site for making movies and slideshows. www.jaycut.com - Yet another site for making movies and slideshows - this one looks like it has a few more features (like slow-motion). blabberize.com - Bring your still pictures to life by making them talk - I can so see myself using this next year with my SMARTboard lessons! Wouldn't it be cool to make a fraction talk and explain how to do a concept during a math lesson?!? www.wikispaces.com - I am definitely going to investigate this one further. I'd like to make a wiki for one of my science units next year - assigning students a different part or concept, and then putting it all together. We could even print off the pages later and turn them into our own reference book. livebinder.com - A lot of the teachers at the webinar talked about how they would use this resource to set up student portfolios ... hmmmmm ... intriguing. epubbud.com - Students can create their own ebooks (which other people can access) and display them on a shelf (similar in looks to shelfari). A great way to publish their writing, and make the writing process more authentic for them. www.prezi.com - Another multi-media site great for presentations. Use as an introduction to a new unit, or have students create their own presentations for a certain topic. Do any of you these any of these websites in your classroom? If you do, I'd love for you to leave a comment and tell me how you use them. I use Prezi.com weekly for Reading vocabulary. We use the Define, Example, Ask model and creating a prezi adds a nice visual for students who need it. I have also used it as an introduction to a Social Studies unit. The kids LOVE all of the zooming you can add to the presentation and they like to guess where you're prezi will zoom to next. You can save and share all of your prezi's and use them year after year. I had students last year do a lot of their group work in googledocs. It's was great for cooperative learning. I set it up and then they could go in and work. They liked being about to share it with others. I have played with livebinder.com. I plan to use it this fall with students. These are all such fantastic ideas - you guys are awesome! Thanks for sharing - I can't wait to try some of these out. My first graders last year loved glogster!!! They created their very own. It was easy to assess as well! Plan on doing many more this year. They did them on living and non-living. They are posted on my blog under living and non living. I'm a wife, mom, very involved grandma, and library volunteer. Your site has so much great information. I really like all the resources listed on this page. I think grandma's are supposed to "know it all" and this will help. 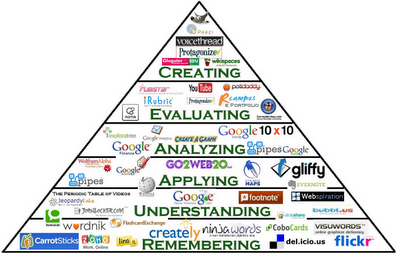 The pyramid (remember, understand, applying, analyzing, evaluating, and creating) is a great graphic representation. Is it available as a poster, or download? I would like to post it at the library, and have one at home. Thanks for the great information! Thanks, Cher. I'm glad I don't have to know it all until I'm a Grandma ... lol! It's nice and clear, so you could probably enlarge it easily. I searched for Bloom's technology pyramid. Being that cell phone skins are created with vinyl like you could see used on car decals, you are able to change them a lot in order to keep giving your phone a very new and updated look. You could have different cell phone skins for each day of the week if you really wanted to.